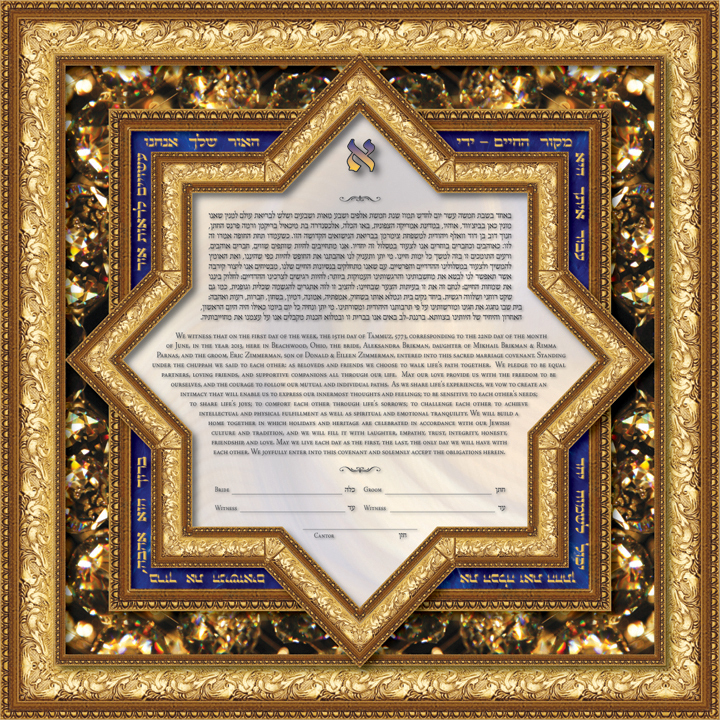 The inspiration for the “Divine Sparks Ketubah” comes from the concept that we each have our own unique and brilliant "spark" that originates from Gd. On the day of their wedding, the bride and groom, unite in a blessed marriage. Their "light" combines to create one that is exponentially larger than what they could create on their own, and becomes the foundation for their new life together. 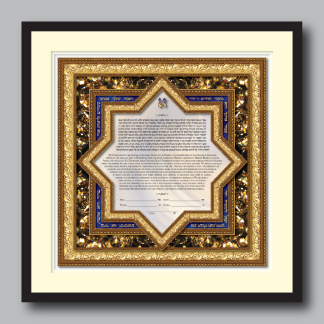 The background of this ketubah glistens and reflects the light of our Creator, found within each of us. 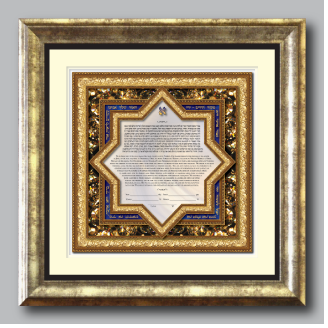 The Hebrew words surrounding the ketubah text translate to "For with you is the source of life - by Your light may we see light" (Psalm 36:10). 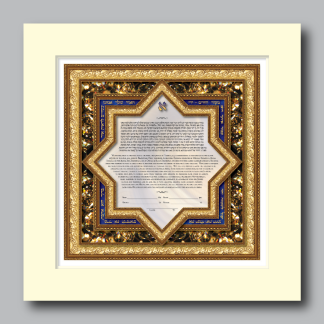 The Hebrew in the lower corners invoke a blessing to the nuptial couple. They state, "Praised is love, blessed is this marriage. May the bride and the bridegroom rejoice together". 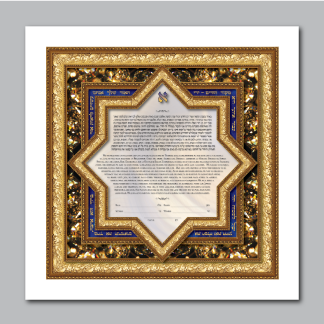 The first letter of the Hebrew alphabet, "Aleph", is positioned above the ketubah text. It's numerical value is 1, and symbolizes Gd. It is also the first letter of the Hebrew word for "light".